Having both meat-eaters and vegans on our team, we’re always hunting for a place where we can all have a good meal out together. Unsurprisingly, it’s not been easy. 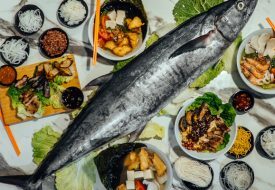 So we were very excited to check out The Botanic, a newly opened restaurant with a wide menu catering to an omnivore, pescatarian, vegetarian, and vegan diets. 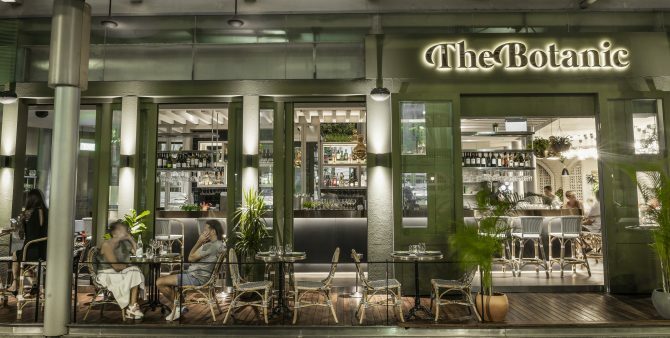 Located on the ground floor of Raffles City Shopping Centre, The Botanic is a new concept restaurant by Salt Tapas & Bar. It faces the street with outdoor seating, which lets a lot of beautiful natural light into the colonial-style interior as well. Surrounded by plants hanging on earthy green walls, you really feel like you’re in a greenhouse. That’s the architectural aspect to how nature inspires The Botanic. The rest is in the food. The Botanic’s Group Executive Chef Shannon Binnie is committed to sourcing for fresh, organic and free-range produce from our Asia-Pacific region, including Chef Binnie’s own homeland of Australia, and Singapore. Our local Citizen Farm supplies many of the herbs you’ll find in the restaurant’s dishes. 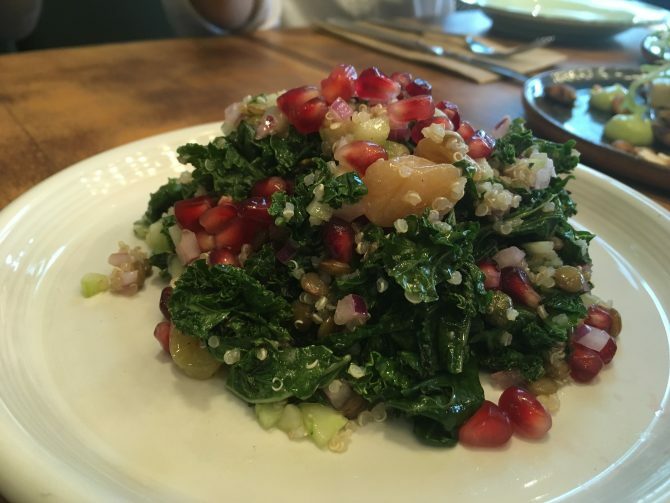 We started our meal off right with the vegan Kale Salad. It’s chock-full of superfoods such as quinoa, lentils, capers, pomegranates, and of course, kale. Mixed with zesty and herby sauces, it’s a refreshing first dish to show how flavourful a vegan dish can be. As you might notice, The Botanic’s dishes, except for their lunch set ones, are served in sharing plates. So, our vegetarian and vegans friends, get ready for your meat-eating friends to be asking to try your food. And we tell you, they will! 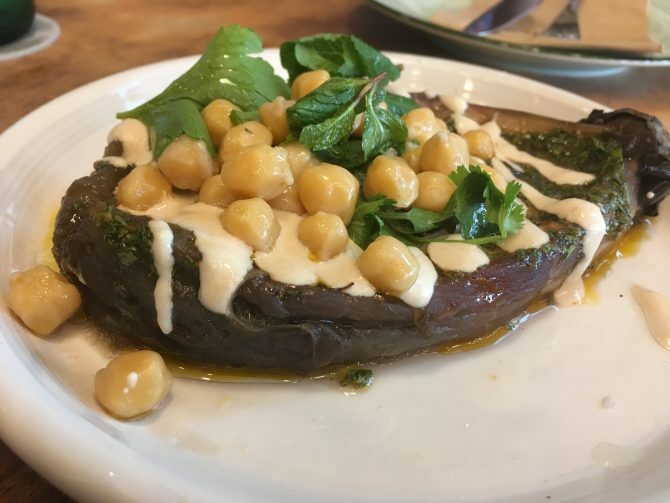 From the Guacamole to the Charred Eggplant with tahani and chickpeas, the vegan dishes had even the most meat-loving diners grabbing more. With six vegan dishes and five vegetarian ones, The Botanic’s meatless menu actually exceeds the meats and fish menu by one. 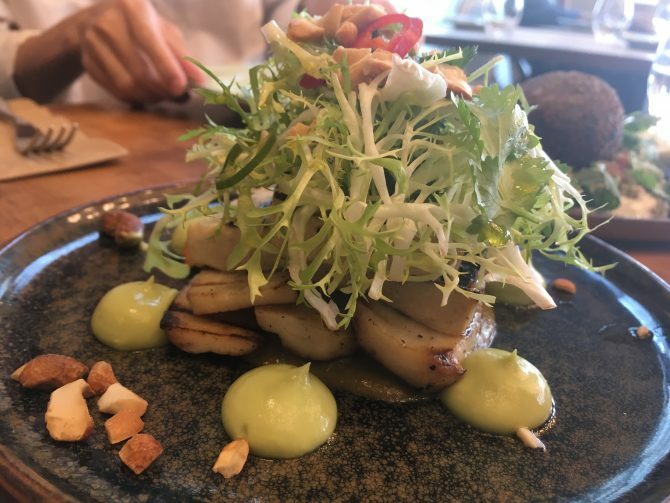 As a vegan himself, Chef Binnie digs into his personal dining needs and struggles to create a substantial plant-based menu. Instead of the traditional sausage, this vegetarian dish stuffs an organic free-range egg in a falafel, on a bed of tabouli, cucumber and yoghurt. Slice open the falafel with your knife, and watch the warm orange egg yolk ooze out like a saturated sunrise. 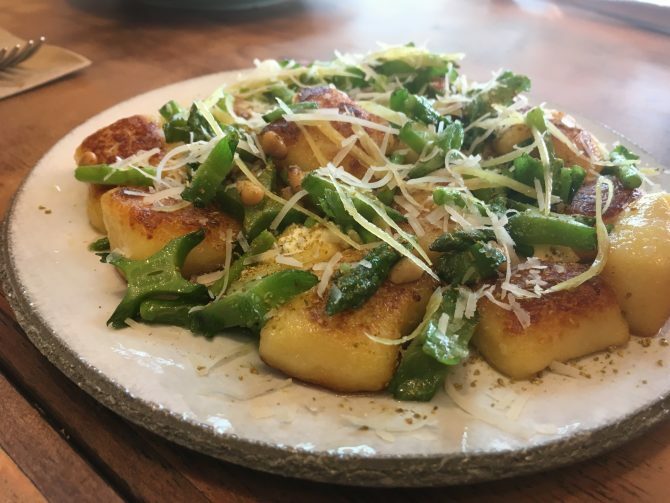 Another hit vegetarian dish at our table was the Gnocchi. Topped with lots of fresh Parmesan and ricotta cheese and asparagus, it’s so comforting we can’t wait to go back and eat it again! 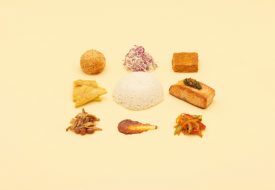 The above dishes are experimental in their flavours, but they still lie rather clearly in the domain of Western cuisine. Are you ready to discover what fusion dishes The Botanic whips up? The slightly spicy tang of the Sichuan dressing goes so well with the roasted punch of the mushrooms and tofu. We wish this portion was bigger because we need more! And meat and seafood lovers, we haven’t forgotten you. 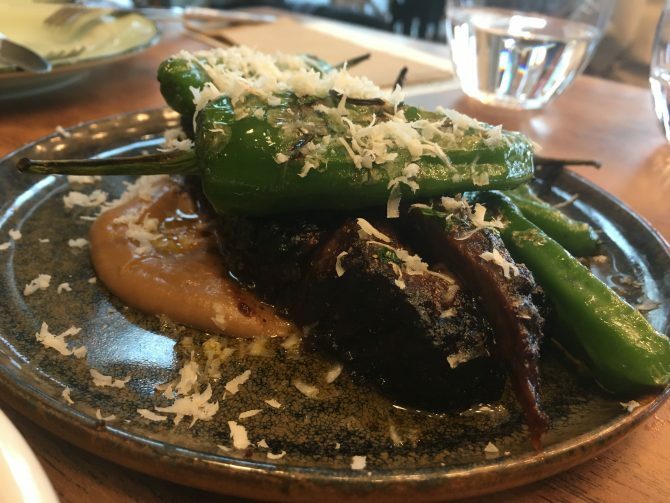 One item on the menu we were immediately intrigued by was the Smoked Sambal Short Rib. Sambal with ribs? Of course we had to try it! And boy, were we glad we did. Both the smoky texture and the sambal spice gave the short rib an lovely edge that we never tasted before. 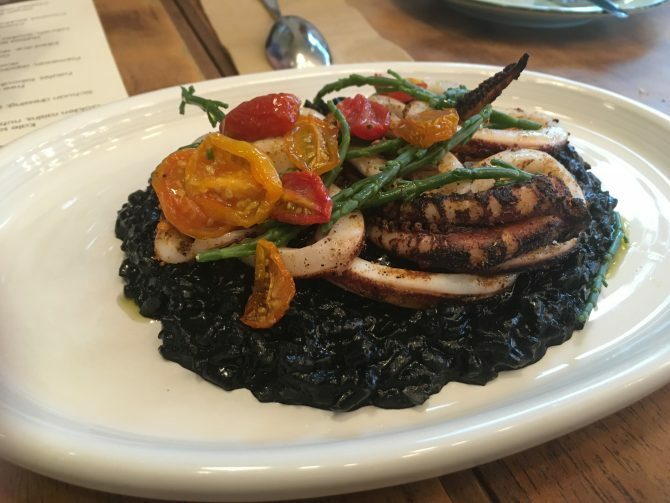 It’s paired with dried tomatoes, sea herbs and chili, all on top of warm squid ink rice. Juicy and fresh, this wonderful medley of flavours warmed our bellies. After an amazing hearty meal, it’s time for dessert. The Chendol Pavlova is another unique fusion dish from the brains of Chef Binnie. 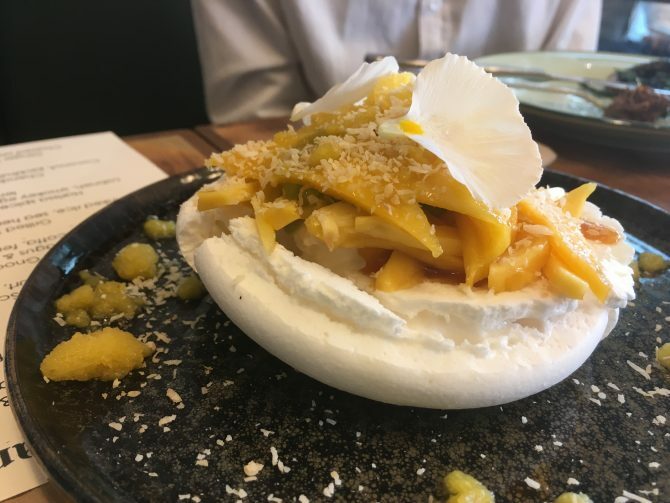 He was inspired by the native cuisine of his Indonesian wife to create it, mixing coconut, jackfruit, mango, and salted palm sugar, on an eggless meringue. Yes, this dessert is vegan, too! 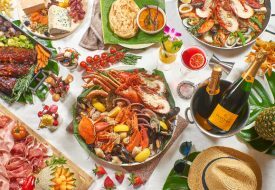 In a bustling shopping mall like Raffles City, it’s a wonderful surprise to find a restaurant like The Botanic that’s so dedicated to healthy and creative food that just happens to accommodate various kinds of diets. 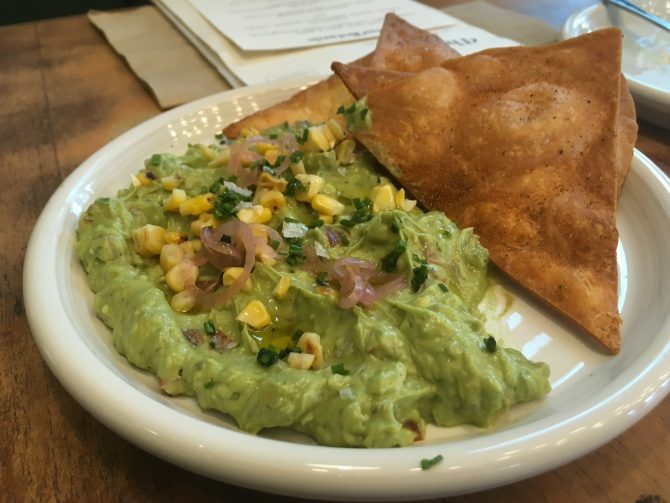 You can count on us to be back for more of all those dishes.